How can independent retailers use technology to appeal to millennials? By 2018, millennials are predicted to have the largest spending power of any generation. This means retailers will have to focus on a millennial-centric strategy in order to cater for what will, in most cases, become the majority of their customer base. Perhaps surprisingly, research shows millennials are still completing 54% of their shopping in physical stores, despite having access to the online versions on their devices. So, with the majority of millennials still preferring to shop in-store, how can retailers update their in-store technologies to help target the generation with all the power when it comes to retail spend? One thing retailers can be sure of when they target millennials is that they value experiences over anything. Three out of four millennials would choose to spend money on an experience or event over buying something physical. This is according to a report published by EventBrite. Retailers need to think of their brick-and-mortar store as a fully functioning and interactive ‘destination’ – rather than a static, transactional location. By creating a destination for millennials, retailers will give them the opportunity to become fully immersed in a rich, interactive shopping experience. The first thing a retailer should do – if they haven’t begun the process already – is to add or update their digital offering in-store to match online channels. In order to appeal to the millennial consumer – who now expect responsive and up-to-date technologies in the physical store – retailers will need to match existing experiences shoppers receive on mobile and other devices. The good news is, retailers probably have most of what they need already. 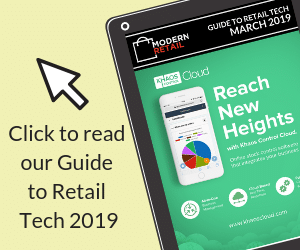 With an updated online catalogue, many can easily integrate their existing content with technology such as interactive in-store touchscreens or self-service kiosks, which will appeal to the millennial consumer. You may have heard of the term ‘showrooming’. This is a new behaviour and typical of how many millennials shop. Showrooming is the practice of visiting a shop in order to examine a product before buying it online or elsewhere cheaper. Instead of viewing this as a threat, retailers should use this as an opportunity to showcase the value of their products. For example, retailers could utilise electronic shelf edge labels to give real–time updates on product prices, compared to the price in other stores or online outlets. It could be used a sales skew – even if the product is slightly cheaper online, retailers could use their in-store sales team to add value to your product, as well as using the personal interaction as an opportunity for up- and cross-selling. For the sake of a couple of pounds, why not take the product home the same day, rather than wait an extra two to three days for it to be delivered? Millennials are months away from having the largest spending power of any other generation, so it’s worth looking at these areas now. This demographic will be crucial for retail success in the years to come. Following the steps above, as part of a millennial-centric strategy, will help ensure your retail store is ready for your customer of the not-so-distant future.